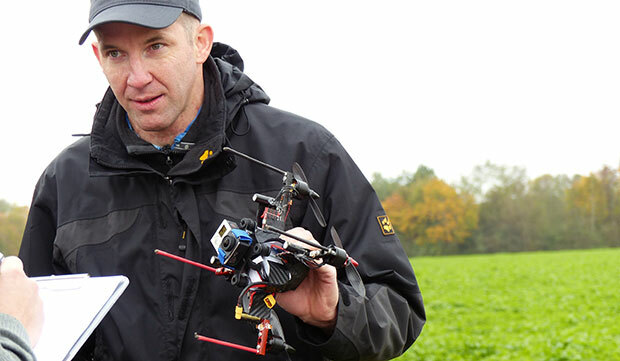 Technical consultant and engineer Dirk Brunner of Munich, Germany has set a Guinness World Record for achieving the fastest 100 meter ascent by a quadcopter. Dirk’s custom-built quadcopter drone was able to reach 328 feet in a mere 3.871 seconds. The UAV’s record-breaking ascent was accurately measured by an on-board logging barometric altimeter – an instrument used to assess a particular object’s altitude – during the official Guinness World Records title attempt at Pasing Model Airfield in Munich, Bayern, Germany. Explaining why he applied for the title, Dirk told Guinness World Records that he wanted to “explore technical limits”.